The Company will build an industry project big data platform through resource integration and strategic alliance. In response to the actual demands of enterprises, the Company will provide specialized industrial services in R&D, registration, declaration and sales. 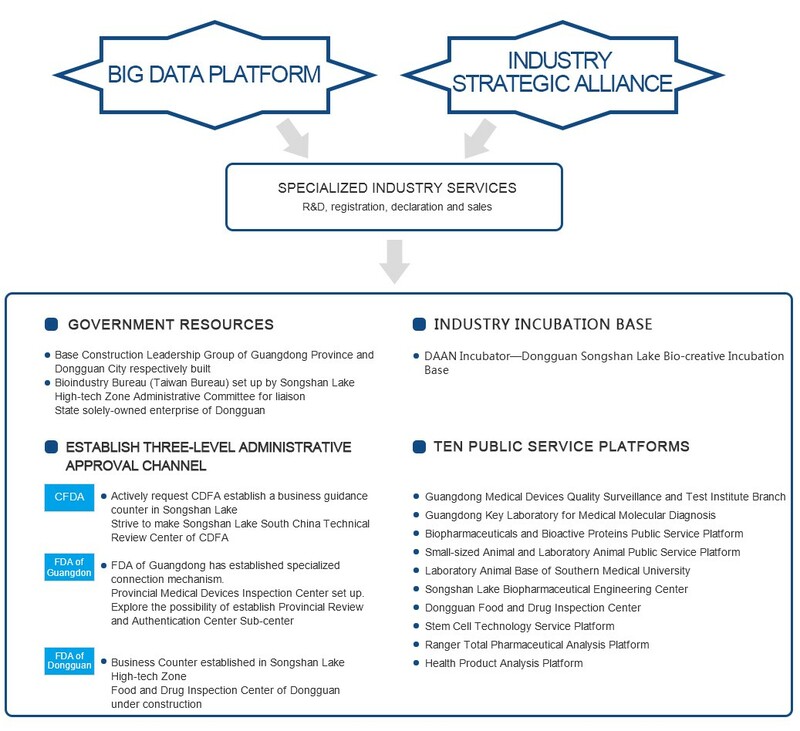 The government resources has allowed the bioindustry park to gather industry research institutes like Institute of Dongguan—Sun Yat-sen University, Guangdong Medical University, South China Institute of Collaborative Innovation and Laboratory Animal Base of Southern Medical University. Meanwhile, public service platforms like Ranger Total Pharmaceutical Analysis Platform and Health Product Analysis Platform have been built through investment and introduction.